A girl that used to be cheerful and lovable experienced a rather cliche but painful event where it made her heart stone cold. She can't accept this fact whatever she do. Fifteen years after this incident she became an illegitimate detective and also a computer genius. She's the source of the information a person would like to know. 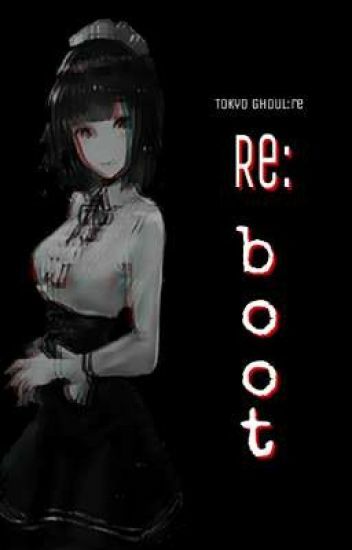 The Director of the Commission of Counter Ghoul (CCG) found out about this and decided to give her a great opportunity to join them but she decline it without any second thought. Three days after their encounter, she found a very useful information to where is her main objective. Where? Well let us find out. Disclaimer: I, Rishada Yazuki, doesn't own Tokyo Ghoul:re for Sui Ishida own it. The pictures and videos that may appear in this story are owned by it respective owners. I only own my OCs and my own plot. 10: Time For Dress Up! Ayato hated the humans with a burning passion. They ripped away his father from him, they all deserved to die. That was what he thought until he met you. You somehow managed to seep in past the cracks of the wall he put up and resided permanently in his heart. You became the reason he lived, the only thing he wanted to protect and cared for. He didn't think it were possible to love a human . . . Until he met you. Just stupid things that happen in my life. Is also used for letting you know a few days in advanced when my updates for other books are coming out. Thanks for reading. You Y/N L/N are a SS rated ghoul,a very dangerous one at that.you've been on the CCG's prowl for two years.ever since the anteiku raid you've been nothing but trouble.after everything that's happened to you,you never thought you would find love.or anyone for that matter who would care for you ever again.that is until the CCG's reaper takes you in and you meet haise sasaki. Having a crush on someone is NEVER easy. I dont know how to adjust my feelings on someone who is taken. How do i get rid of him? He is taken, i get it. so why cant i just forget that? Who saved Kakashi? Where was Kisame? Are You always heard about cliche Romance story?. Well this is different from the other. There will be more Adventure and  romance in the plot. A girl with wavy hair and the colour of her hair white combined with blue.She‵s very talented and excellent in making medicine. The day where Alma Toran fallen.She need to find Aladdin to tell she was his Guardian.
" Darling, are you okay? I promise I won't hurt you." Credit to adoreutae for the cover!